Hello, Quick Quotes readers. 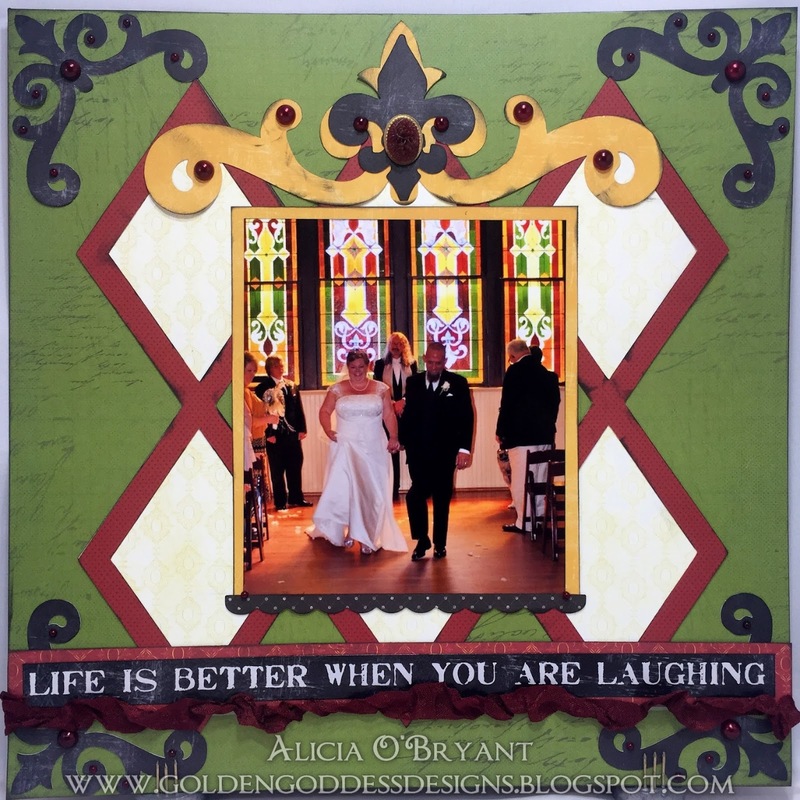 Alicia with you today and I am still scrapping my wedding album. 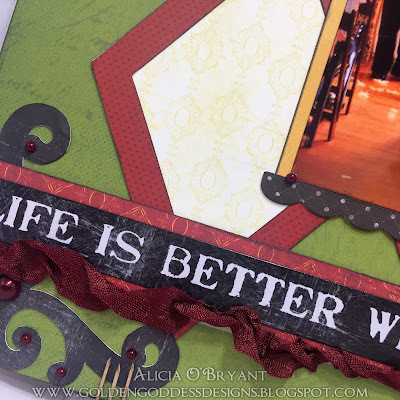 I used several Quick Quotes paper packs to create the two layouts I am sharing today. 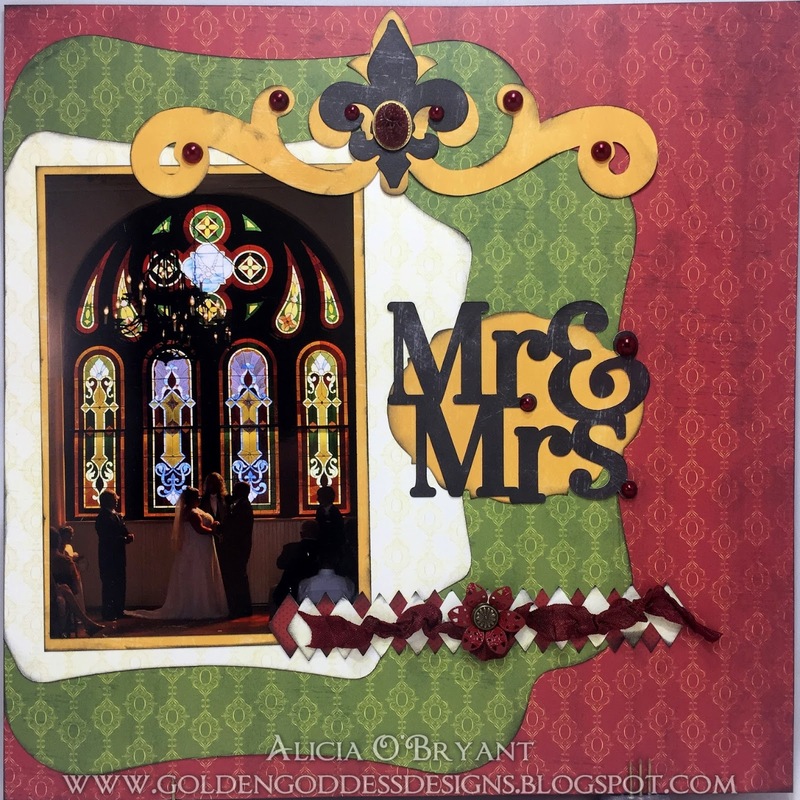 I used elegant and richly colored pieces to accentuate the stained glass window in the venue. I also relied on my Cricut for the various shapes cut from the paper. 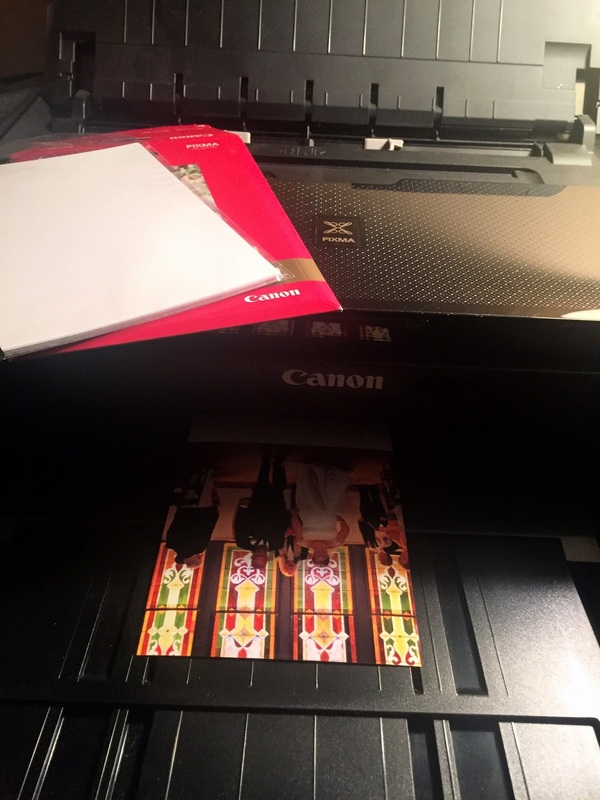 I used my Canon PIXMA iP8720 13x19 Wireless Printer to print the vibrant 5x7 photos. 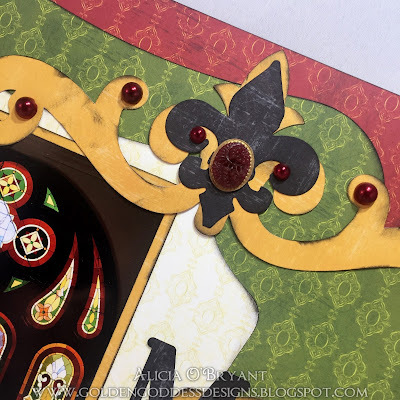 Details of the layers of paper, ribbon and pearls. On my second layout I used some manual cutting tools to cut several of the layers but still included Cricut cuts. Since both of these layouts featured the stain glass window I wanted to keep some embellishments the same. Layering the pearls and other embellishments on top of the die cuts really make the layers of Quick Quotes paper pop! I thought I would share some helpful hints on printing the best photographs with your Canon printer. Find your Printer properties or Printer preferences and adjust your settings to fit your print job. My print program defaults to a standard 8.5x11 paper print. I often use that setting so I don't want to permanently change that setting. However, I have adjusted the setting for my photography printing and saved those settings which makes it so easy to get great photos every time. You can see from my collage below that the 5x7 photo print is saved with high quality settings.